This delightful arrangement at Latrobes on Royal was the brainchild of the bride's mom. When the bride was little, her mother had taken some photos of her in a white dress around the grounds of the LSU Rural Life Museum in Baton Rouge, which is where we did her bridal portrait. 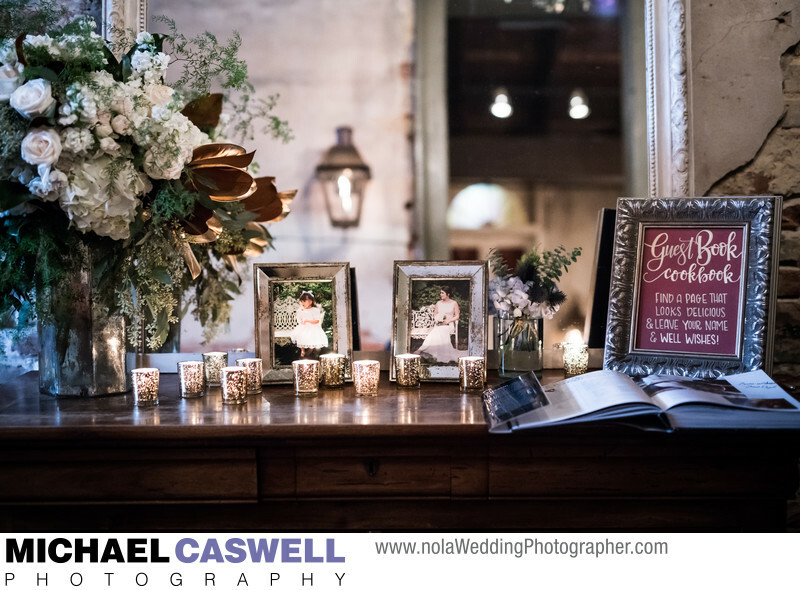 She then framed some of the bridal portrait shots and paired them up with the childhood pictures in similar locations and poses.